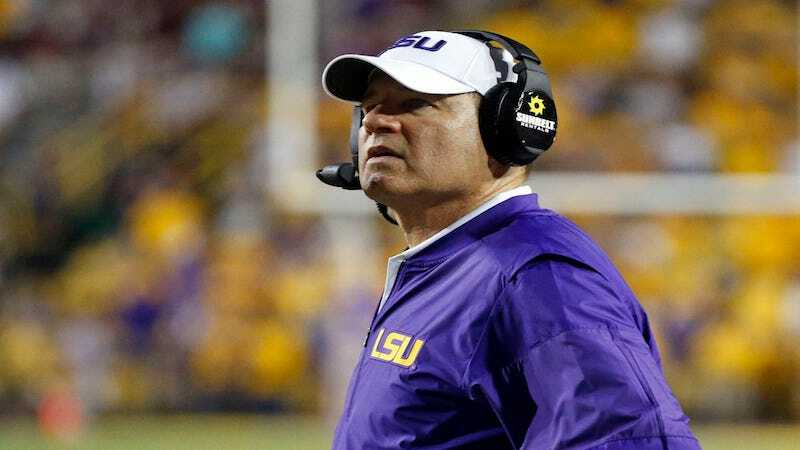 LSU has fired head football coach Les Miles four games into the season, according to The Advocate. The school also canned offensive coordinator Cam Cameron. Miles is gone after a 2-2 start for LSU’s 2016 campaign. The Tigers lost their season opener against Wisconsin, and to Auburn on Saturday after replay overturned what would have been a game-winning touchdown as time expired. Miles, who had coached at LSU since 2005, was supposedly almost gone at the end of the 2015 season. The Advocate reported that the school had considered replacing Miles with FSU head coach Jimbo Fisher, although that never happened. After losing three straight games, the Tigers won their Nov. 28 regular-season finale against Texas A&M, and Miles’s players carried him off the field.